Use the empty tin to measure out the flour. Kneat until you get a smooth dough. Form into a large roll. 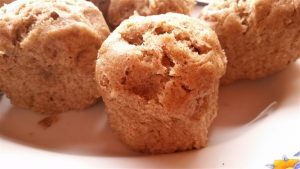 Place these balls into double paper muffin cases. Place muffin cases in a single layer into a steamer basket. Leave to steam hard for about 10 minutes.